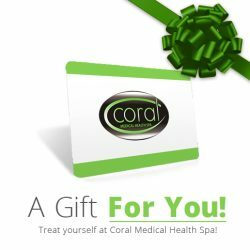 At Coral Medical Health Spa, we offer the best in healthy nail treatment alternatives. In addition to our Spa Manicure we are very excited to offer the GelColor System. OPI GelColor offers a long lasting polish application of up to 2 weeks without wearing or chipping. There are more than 40 GelColor Colours available for application. This number will definitely increase as OPI adds more of its already famous color selection to this manicure system. What is a “GEL” treatment by OPI? This system allows you to enjoy beautiful long lasting colour and is applied with a specialized LED light. To remove the polish all that’s required is a solution as the gel will soak off… therefore no harmful buffing that can damage the natural nail. Call Coral Medical Health Spa Today and speak with guest services to schedule a consultation with one of our qualified OPI GelColour technicians to discover the difference of a healthier nail treatment that’s a pleasure to use and wear. OPI makes nails beautiful, flexible and strong. A most superior product that will not damage the natural nails. The GelColour goes on like polish, cures in 30 seconds, and lasts for up to two weeks. Can be added onto a manicure or pedicure, see below for information on prices.